Our company formation advisors in Kazakhstan help local and foreign clients to set up different types of legal entities in this country. Among all kinds of business vehicles, the most popular ones used by foreign entrepreneurs are the limited liability partnerships (LLPs) and the joint-stock companies (JSCs). • a power of attorney issued to domestic representatives. These documents have to be apostilled and legalized, according to the Hague Convention of 1961. • no public financing reporting or financial audit requests. JSCs in Kazakhstan present numerous advantages, the main one being the possibility to attract supplementary capital through a public offering of shares. Since 2011, Kazakhstan simplified the business start-up procedure by decreasing the minimum capital requirement to only KZT 100 (US$ 0.70) and eliminating the requirement for the memorandum of association and the notarized company charter. In 2013, this state also eliminated the request to acquit the minimum capital in maximum three months after the company incorporation date. In 2014, the time required to register a company with the Public Registration Center was decreased. 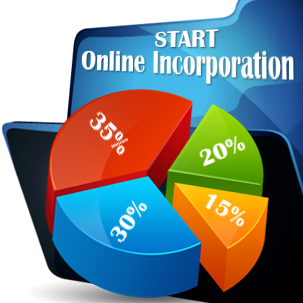 Lastly, in 2016, Kazakhstan simplified the incorporation procedure of a company here by eliminating the fees which were previously required from small and mid-sized businesses, shortening the registration time frames and eliminating the requirement to utilize a company seal. If you have further questions about company registration in Kazakhstan, we kindly invite you to get in touch with our experienced agents in company formation.